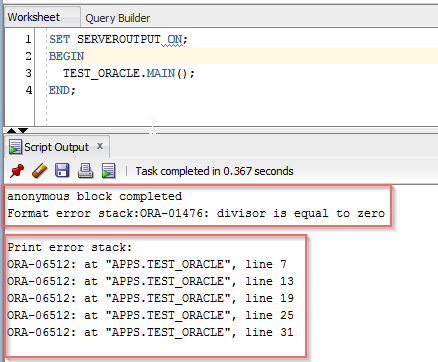 Let’s see how it’s useful for PLSQL developers. Now, I know the exact line which caused the error. It mentioned standard oracle utilities gaves the complete back trace. It’s a nice utility! !